It’s rivalry week as many district titles will be decided on Friday night. Here’s a look at some of the key matchups this week in high school football. We could see a three-way tie for first if the Coyotes hand the Rockets their first loss of the year. Goddard already beat Artesia and Artesia beat Roswell, both games were decided in the final seconds. Friday night’s rivalry game at the Wool Bowl should be a good one! “It’s been a while since Roswell and Goddard have both been this good, it should be fun,” said Roswell head coach Jeff Lynn. A couple weeks ago against Manzano the Wildcats looked lifeless. Since then, they demolished Eldorado and had a bye week to rest up for a showdown against the unbeaten #1 Bears. If La Cueva stumbles on the road, they would likely drop several spots in the seeding. Neither team can win the district title since Centennial already has claim to that honor, this rivalry game will go a long way in determining postseason position. This game annually draws one of the biggest crowds every year. It’s simple, winner gets the district title. Belen scored 21 unanswered points to beat Valencia last week while the Tigers shutout Valley. “We know that we have to stop their running game with Casillas being their main contributor,” said Los Lunas head coach Jeremy Maupin. A district title is on the line in the Four Corners. 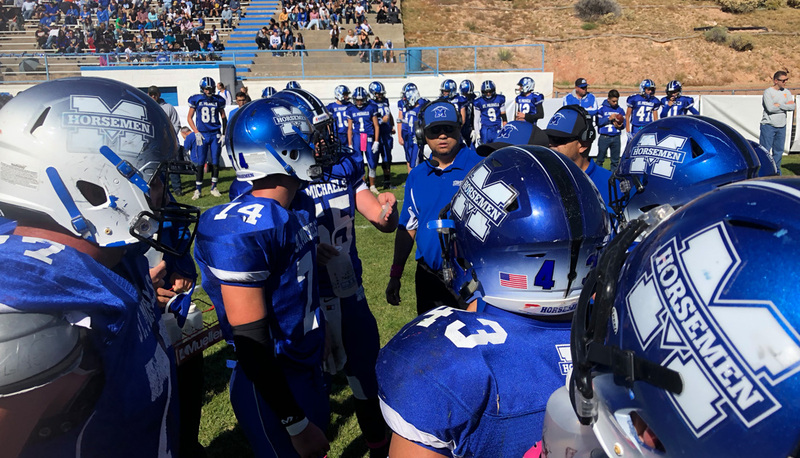 The Scorpions are averaging over 35 points a game the last three weeks since sophomore Caleb Carrillo took over at quarterback. Farmington likes to spread it out on offense while the Panthers prefer to run in heavy formations. 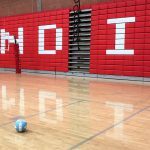 “Both teams thrive on good defense and the game will come down to which offense makes fewer mistakes,” said Farmington head coach Jeff Dalton. The district title is on the line in this one. 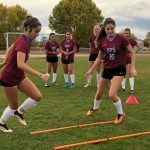 The Wildcats are coming off a seven-point win against Ruidoso while the Rams haven’t lost in the month of October, shutting out two of their four opponents. The Rams lost a tough one at home last week to Volcano Vista, missing a game-tying field goal on the last play of the game. Cleveland running back Dorian Lewis suffered a knee injury in the first quarter last week and did not return to action. “You can throw the records out the window for games like this,” said Rio Rancho head coach David Howes. There is no love lost between these two crosstown rivals. The Dons have won five in a row. The Cardinals suffered a setback losing to St. Michael’s last week. Springer/Maxwell at Animas and Carrizozo vs Elida: 6-man semifinals, winners square off for the championship.